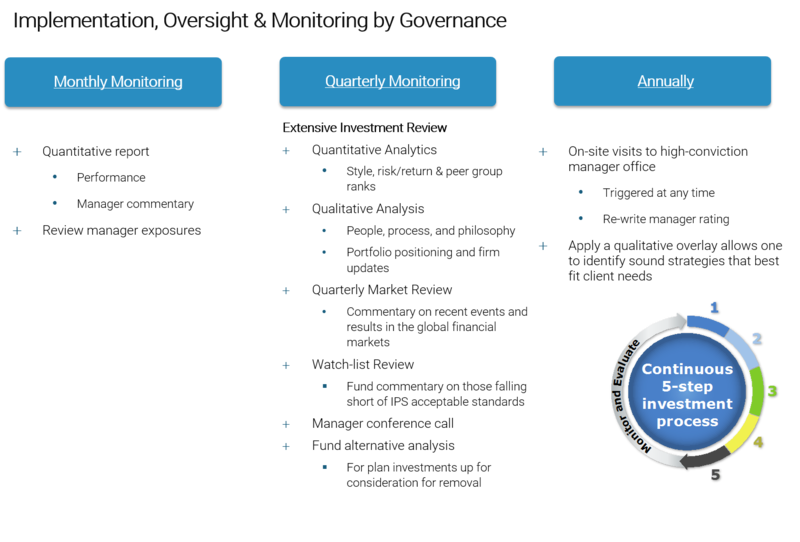 Investment management and oversight is a Fiduciary best practice. By using MCF Institutional as your Investment Consultant, you can be confident that your assets are being watched over as a part of your overall retirement plan stewardship. Product, philosophy, performance, process and people are the driving factors in the selection of top performing investment managers. Using the Wilshire CompassTM database, we have access to over 27,000 mutual funds and 17,131 alternative options to ensure complete open architecture investment selection. 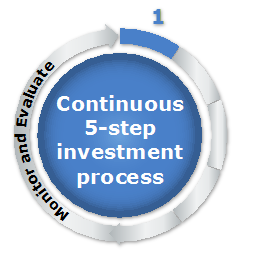 In addition to supplying monthly and quarterly performance information, MCF Institutional makes available in-depth qualitative profiles of investment managers including: organization structure and resources, key investment professional information, investment philosophies, fee schedules, growth of assets and number of accounts. Perhaps the most distinct aspect of what we offer is the ability to evaluate holdings-based fundamental characteristics enabling clients to easily conduct returns-based and holdings-based style and attribution analysis. The Wilshire CompassTM investment database contains over 100 portfolio characteristics of actual equity portfolios calculated by Wilshire Associates’ proprietary equity risk model. As a result, MCF has the ability to screen the database on various characteristics including style exposures, market capitalization statistics, sector and country allocations, price/book, price/earnings and yield. Similarly, Wilshire publishes over 60 fixed income portfolio characteristics collected directly from fixed income managers for use with MCF clients. 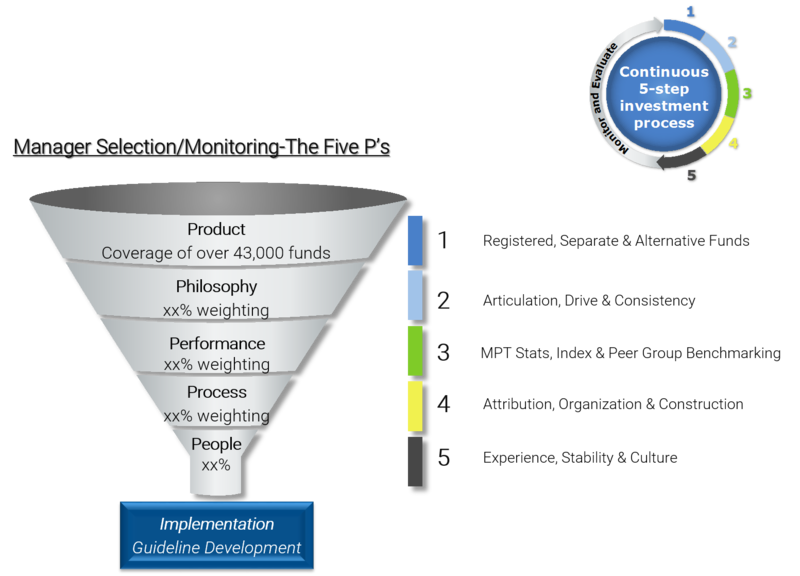 The MCF fund selection and monitoring process weights these factors on a quantitative and qualitative scale for overall rating as the third step in the selection process. Final evaluation is based upon manager interviews, questionnaires and additional database screening. Because we are independently-owned without ties to banks or other vendors, the results are objective and unbiased. Past performance may not be indicative of future results. 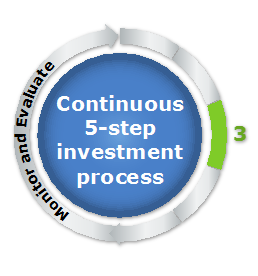 Different types of investments involve varying degrees of risk. 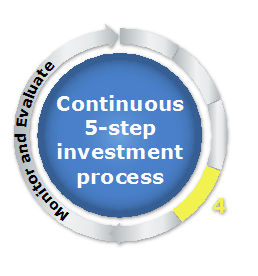 Therefore, it should not be assumed that future performance of any specific investment or investment strategy (including the investments and/or investment strategies recommended and/or undertaken by MCF Advisors, LLC (“MCF”), or any non-investment related content, will be profitable, equal any corresponding indicated historical performance level(s), be suitable for your portfolio or individual situation, or prove successful. MCF is neither a law firm nor accounting firm, and no portion of its services should be construed as legal or accounting advice. 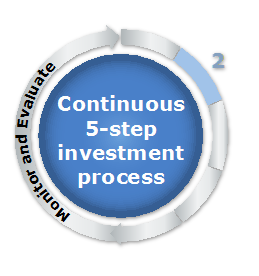 Please remember that it remains your responsibility to advise MCF, in writing, if there are any changes in your investment objectives for the purpose of reviewing/evaluating/revising our previous recommendations and/or services, or if you would like to impose, add, or to modify any reasonable restrictions to our investment advisory services. A copy of our current written disclosure statement discussing our advisory services and fees is available upon request. The scope of the services to be provided depends upon the needs of the client and the terms of the engagement. MCF Institutional is a division of MCF.